SAP Hybris Commerce Edge Edition is a commerce solution for small to mid-sized businesses that help for their digital transformation. Create your online store today! No risk. No credit card required. Shoprocket is a fully-featured eCommerce platform which enables our users to start selling within 2 minutes on their website, blog or Facebook Page. 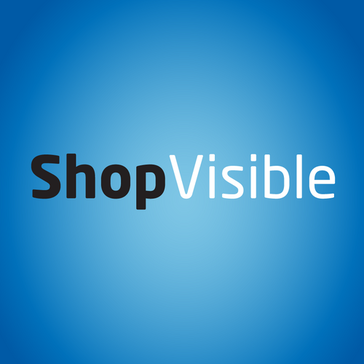 ShopVisible platform is designed to be the most comprehensive and innovative available. A single, unified instance of the platform means that ShopVisible clients are on the most up-to-date version. Our turnkey ecommerce hosting platform provides an easy-to use, DIY website builder and secure order management system. 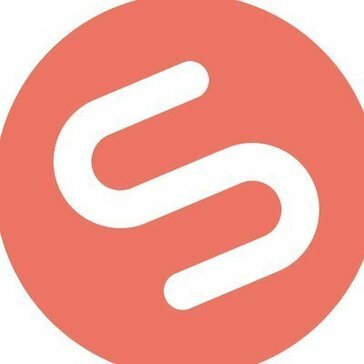 Storm is an advanced, modern and scalable e-commerce platform suitable for merchants with a large number of transactions and smaller e-tailers growing rapidly. Trusted Shops certifies online shops by checking a set of quality criteria before awarding the European Trustmark. "Convergent Commerce" is the next evolution of multichannel strategy where brands deliver unified customer experiences across all platforms. Technologies such as the web, video, mobile devices and social networks are transforming commerce and the ways customers interact with your brand. Today's 'always on' customers want to compare, share, buy and take delivery anywhere, anytime the way they want. When you truly connect and communicate with customers across multiple channels with one voice they will embrace your brand, tell the world about your products and continually buy from you wherever they are on your website, their social network, in your catalogs, on their mobile devices or in your stores. Design & build a beautiful online store in minutes. Wcomm is affordable E-Commerce solution mainly designed for the person who does serious business. Wcomm is built with best features available out for the E-Commerce website. Wcomm exclusive UI/UX makes the flow seamless for both admin and users. Web Cube is the premier all-in-one web platform for brands, empowering customers with a turnkey platform for their website CMS, eCommerce, and mobile. Built by WebLinc, Workarea is the only digital commerce platform built on a modern tech stack uniting commerce, content and insights in one application. Workarea is the SaaS platform of choice for growing mid to enterprise-level online retailers and merchants such as Sanrio/Hello Kitty, Do it Best Corp., U.S. Polo Assn., Woodcraft, Costume SuperCenter, Lime Crime, Rachel Roy, and many others. 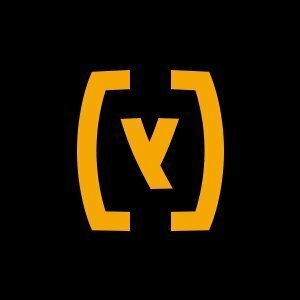 xt:Commerce is an e-Commerce Platform providing solutions like hosting, marketing, management, and payments for an eCommerce business. Zepo is an E-Commerce platform that helps small business owners open their online stores & sell online easily. 247 Cloud Hub help to design, develop and integrate technically advanced ecommerce sites for multichannel retail and wholesale operators. Acenda is a cloud eCommerce platform that enables manufacturers, distributors, and vertical retailers to build a webstore, connect products to multiple sales channels, control and sync inventory, manage and fulfill orders, access detailed reporting, run experimentation -- and ultimately increase conversions. A powerful solution to your E-commerce needs. This powerful new E-commerce template for Adilas contains a vast amount of upgrades. Some of these upgrades include a pricing matrix for shipping, per line item shipping costs, custom e-mails for quotes/order and invoices. Airsquare provides tools to create websites, sell products online and market events. Allomani is an E-Store with the shopping cart for online shopping websites, hosting & designing, Paid services, etc. Software Connect: sharing vendor-neutral commentary on business & non-profit software tools, trends, and selection. Appath offers cloud-based inventory and shipping management solution for e-commerce merchants. Apptuse offers an online store builder solution for multi-channel selling. Atomstore is an online eCommerce platform. AUGMENTes helps retailers increase their online sales, drive traffic to their stores and adapt to the new way of shopping with our SaaS-based, Omni-Channel platform featuring Augmented Reality (AR), IoT and mobile technologies. Avetti-Marketplace Ecommerce SaaS/Software solution for companies that need to create b2b or b2c marketplaces or need multi catalog / multi store ecommerce to connect thousands of retail locations to suppliers and distributors each with independent pricing, products and inventory from a master catalog. B2B Wave is a cloud-based eCommerce solution for B2B, wholesale, and manufacturing businesses designed to enable users to manage products, create custom price lists, track orders, genernedate invoices, manage customers, send marketing emails, and others. B2Sell Commerce is a fully integrated eCommerce platform that works with your Epicor Prophet 21 ERP system. We offer a complete B2B Seller replacement for Prophet 21 for B2B and B2C online selling. Batavi is an open source e-commerce software. Ecommerce Website Shopping Cart Software and complete ecommerce website design and development solutions. Best Website Store provides affordable, fully supported, easy to use business websites and other digital tools for small business owners. Our mission is to help every small business create a compelling digital presence and have access to the tools they need to compete effectively in a noisy, fast paced, digital world. Provides beautiful, powerful, reliable eCommerce solutions for fast growing brands. Voted as India’s Top Cloud Computing Companies, BoostMySale is a turnkey ecommerce product which not only builds your comprehensive and user friendly online web store in a jiffy but also integrates, manages and seamlessly pushes your products on all the leading marketplaces & social channels. BoostMySale’s B2C software platform makes it easier to manage orders from multiple ecommerce channels. Our robust set of customization for each channel – Marketplaces, Web, Mobile, Call Center and Kiosks ensures seamless management. Being an integrated, all in one B2C platform makes it a tool of choice for online business ventures and fulfills one complete ecommerce experience. Our seasoned insight into B2C buyer characteristics is a proven way to optimize the conversion rate. Increase the value of online transactions by rendering a fulfilling shopping experience anytime, anywhere. Real-time order processing and inventory tracking system will make your online web store management easier than ever before. A mobile-commerce platform that allows anyone to easily sell and shop online through mobile. Buildabazaar is a SaaS-based platform where you can register and get started with your very own online store in minutes. You can easily create your own e-store without any kind of technical knowledge about coding and website integration. You can have powerful widgets which simplify addition of banners, images and content to a web page. You can make changes to the content of the store pages using the on page customization tools. Buildabazaar allows the creation of unlimited store web pages to showcase products. The BuildaBazaar team will help you upload the products and design your website conveniently. Cartface offers numerous tools to assist set up and manage the e-commerce store. Cartloom enables users to generate an online store within existing website with Copy + Paste snippets. Chec is an extendable, API-first eCommerce platform with simple tools to help you deliver beautiful eCommerce experiences. CloudShoppy is an affordable eCommerce platform for small and medium size businesses to start their online shop with just few clicks.